Being from Kansas City, St. Louis has always been a place that seemed so close yet so far away. Too close to be an exciting adventure, but a bit too far to jump in the car for dinner and shopping. Thankfully after spending a couple of glorious days in the STL, I realize I couldn't have been more wrong. As someone who LOVES a good culinary experience (from the restaurants aesthetics to the food itself) I was blown away by what the city had to offer. They had more options than I could have dreamed possible and never once did my experience feel "Midwest". In fact, quite the opposite, with restaurants like Vicia and Olio standing up to anywhere I've eaten in larger coastal cities. 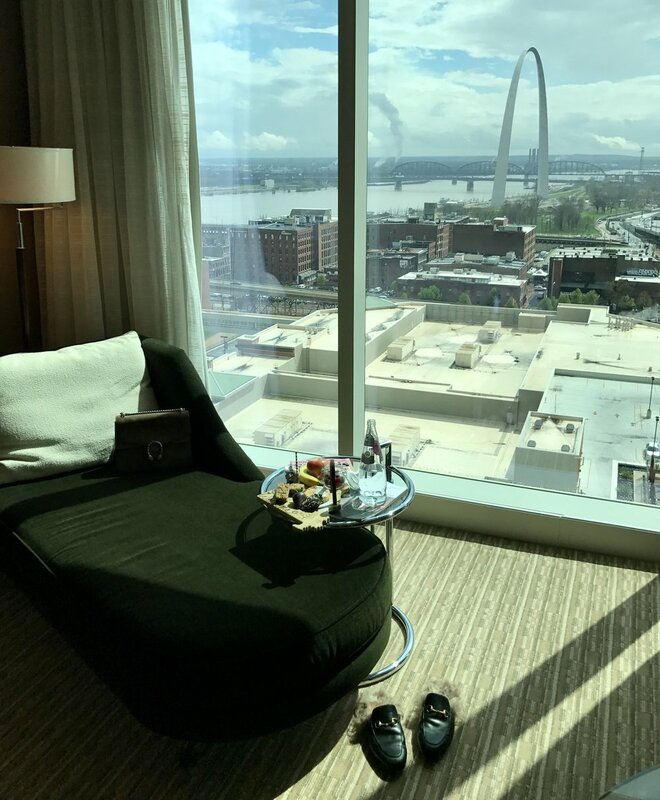 I was also completely unaware and pleasantly surprised that St. Louis was home to The Four Seasons and their famous spa, which I took full advantage of... getting a 3-1 facial with the newest OxyGeneo technology. My skin was noticeably brighter and actually glowing immediately post treatment which was nice after a day of traveling. 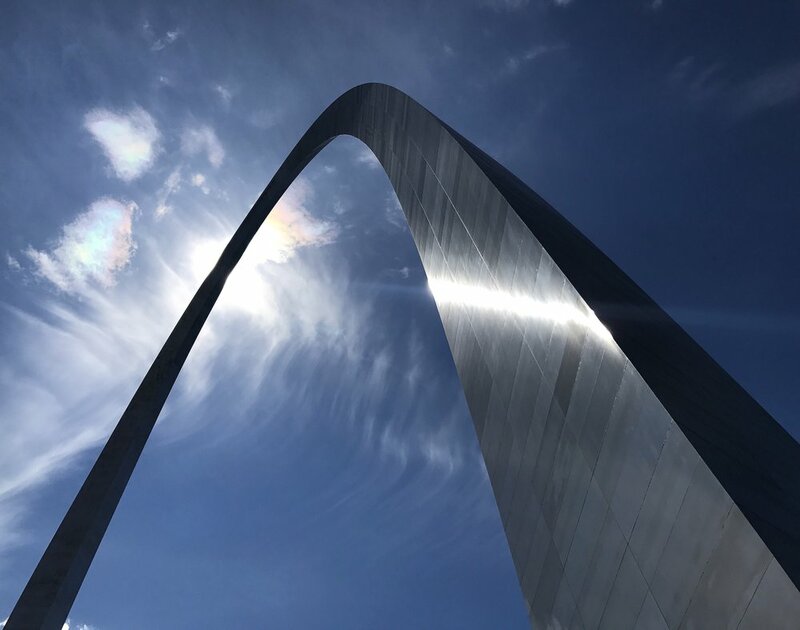 I took the Amtrak to St. Louis which was such a lovely vintage and nostalgic way to travel (with modern day conveniences such as wifi of course). The Four Seasons not only wowed me with their spa but I also had a fantastic culinary experience. We were wined and dined until our hearts content at the chef's table by Chef Colucci at Cielo. Breakfast was perfect as well with fresh juices and homemade banana pancakes. And if you aren't full after all of that, simply head to Clementine's Creamery for a delicious selection of "naughty or nice" ice cream. You might want to plan on Ubering home if you try too many naughty flavors, though. The famous Gateway Arch is undergoing a renovation to the surrounding grounds below. So there will soon be concerts and museums to enjoy alongside all the delicious food. I can't wait to head back to St. Louis to experience more of what this wonderful city has to offer. A special thanks to Explore St. Louis and The Four Seasons for an unforgettable trip!